Our infused gourmet vinegars can be used for much more than just salads. Try adding a generous splash to brighten up your stews, braised meats, roasted vegetables, sauces and marinades. Enliven your cocktails, Prosecco or sparkling water with a dash or two. On a reduced salt diet? Use vinegar to bring out the flavours in your food! White wine vinegar base infused with habanero pepper and lots of garlic. Spicy with a lovely kick of garlic. Organic apple cider vinegar infused with fresh mint, a variety of warm spices and organic coconut sugar for a touch of sweetness. A sweet and spicy flavour. 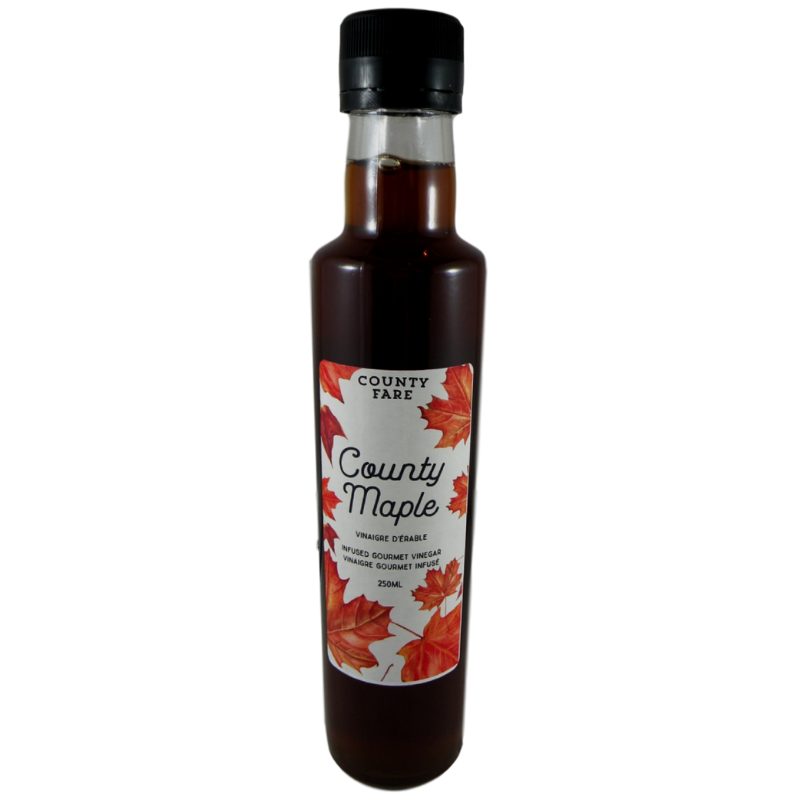 Organic apple cider vinegar base infused with pure dark maple and a touch of dark rum. A delightfully sweet and tangy flavour. 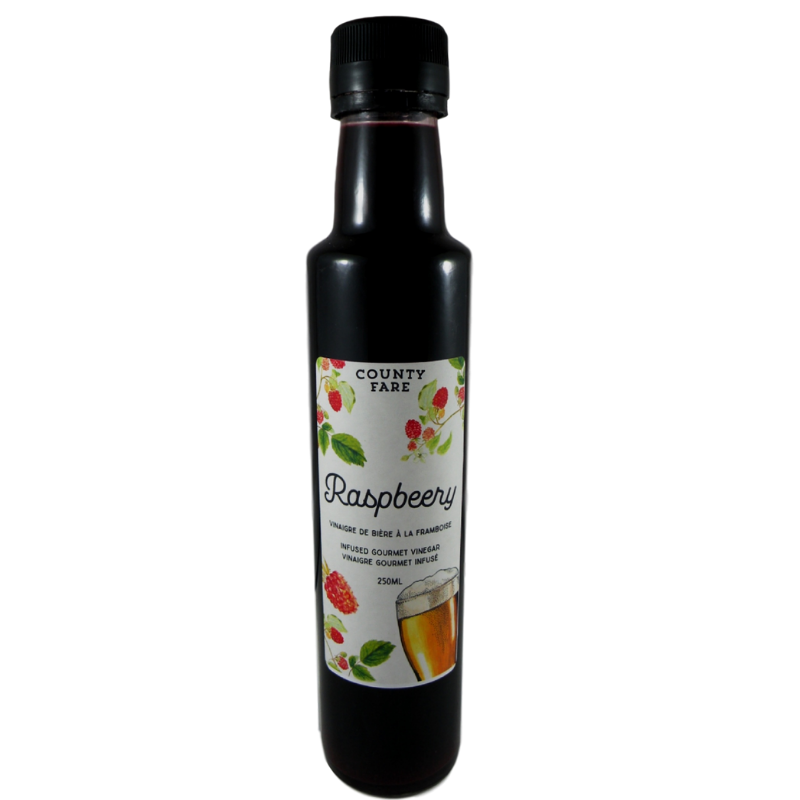 Organic apple cider vinegar infused with purple raspberries and Trenton, Ontario’s Wild Card beer. A clean, refreshing flavour. Balsamic vinegar base infused with blueberries, warm spices and a touch of organic coconut sugar to take the edge off the tart blueberries. 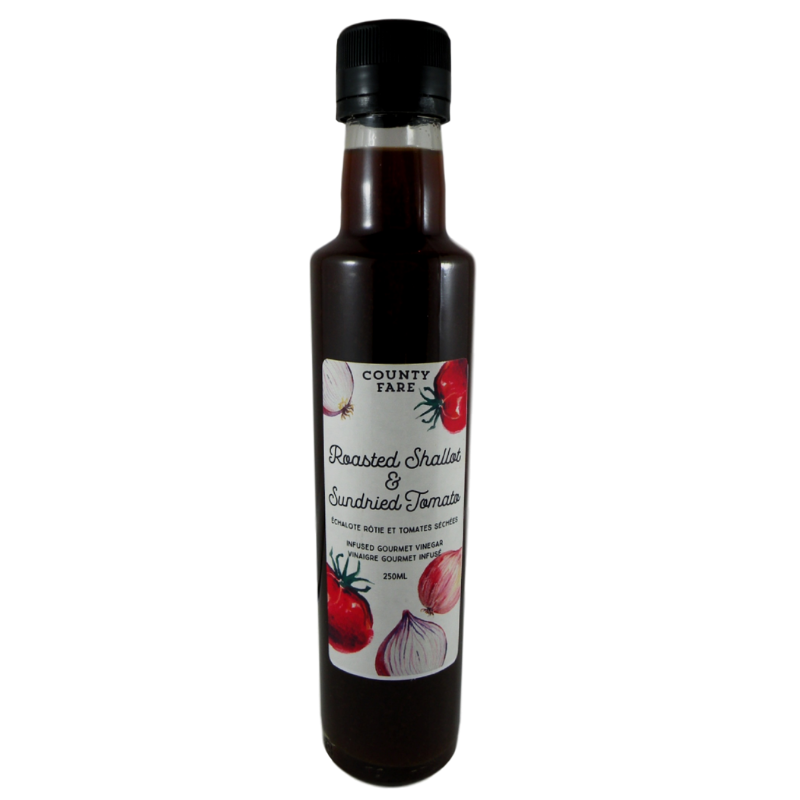 A rich, deep and fruity flavour..
Red wine vinegar base infused with roasted shallots, sundried tomatoes, pepper corns and red pepper flakes with a touch of organic coconut sugar to cut the acidity of the tomatoes. An earthy, robust flavour.